1. Make it all about the listings! After all, that’s what consumers are looking for isn’t it? “Homes for Sale in [Your City]” is one of the reasons consumers are coming to your site to begin with. So, you want to make sure you’re showcasing your listings to drive traffic to your site and convert that traffic into a closed sale. If you can’t afford a paid solution like dsSearchAgent or dsIDXpress, don’t worry, you can still create a Featured Listings page using something like theWordPress Property Plugin. 2. Get local (talk about the local community). Your not just selling real estate. You’re selling a lifestyle. People want to know what’s it’s like to live in [Insert Community Name Here]. So talk about your local community. Feature local restaurants and things to do around town. 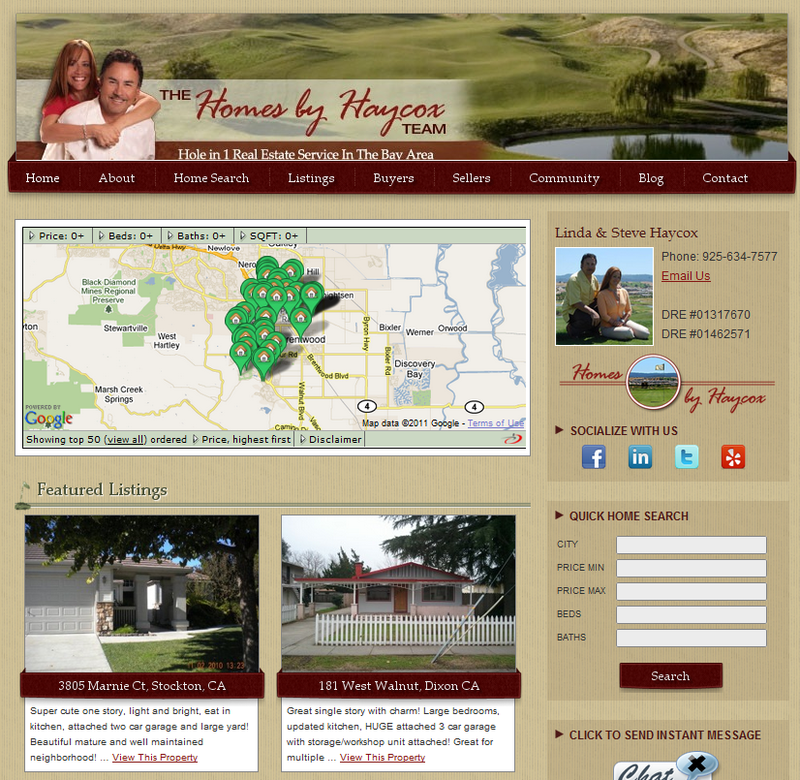 Dale Chumbley has done an excellent job of this over at: clarkcountyrealestateguide.com. He features local things to do around town, establishing himself as the local expert. All the while, he subtly set up his site for lead capture by displaying his Home Search page and contact forms. When it’s time to buy in Clark County, guess who’s recognized as the local expert? 3. Publish more often. I’ve said it before, I’ll say it again: “The success of your blog is dependent on your ability to develop fresh new content consistently.” Quit worrying about it being perfect. Focus instead on being consistent. Get an editorial calendar if you have to and stick to a schedule. Bottom line, real estate IS content. There’s lot you can talk (write) about. The goal is to get it own there consistently (don’t worry, practice makes perfect). 4. Clean up that sidebar. Dan Green has two things on his sidebar: 1.) a rate quote form (for lead capture), 2.) video interviews (these serve as social proof). Really, that’s all you need. If it’s a real estate blog, put a “Quick Search” form or badge that directs people to your Home Search page. Display your contact info to make it easy for people to get in touch. Showcase your subscription options so people can subscribe to your content (or newsletter). All of this information should be above the fold. Everything else is just clutter. Period. 5. Start measuring (the right) results. How many ReTweets/Likes/Comments you got is a useless metric so quit obsessing over it. What you should be concerned over instead is “how many IDX registrations did I get this month?” Focus on setting more specific, business oriented goals. Monitor these statistics once per week (no need to stare at them daily). If few people are subscribing to your newsletter, maybe you need to move the registration form higher up the fold (or lessen your required registration fields). Maybe you can add a Call To Action below each post. 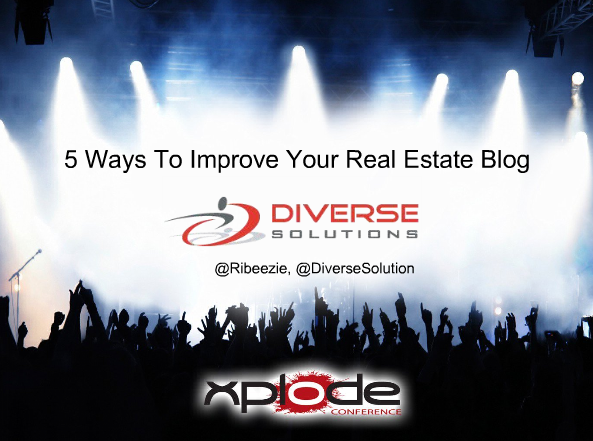 How tips do you recommend to increase the effectiveness of your Real Estate Blog?